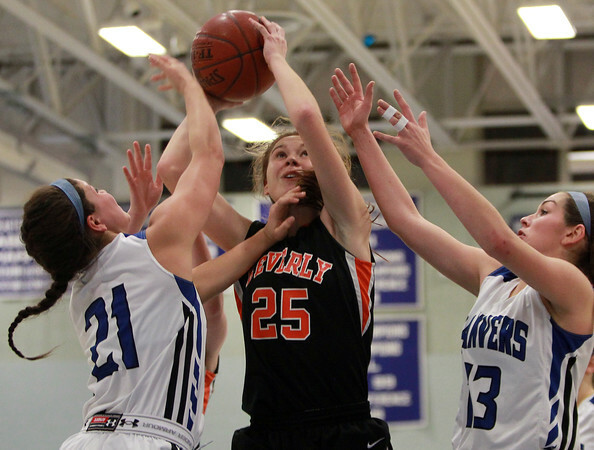 Beverly senior Ashley Augulewicz (25) goes up for a shot while being defended by Danvers sophomore Angela Saggese (21) and junior captain Devan Walsh (13) at Danvers High School on Tuesday evening. DAVID LE/Staff photo. 1/13/15.